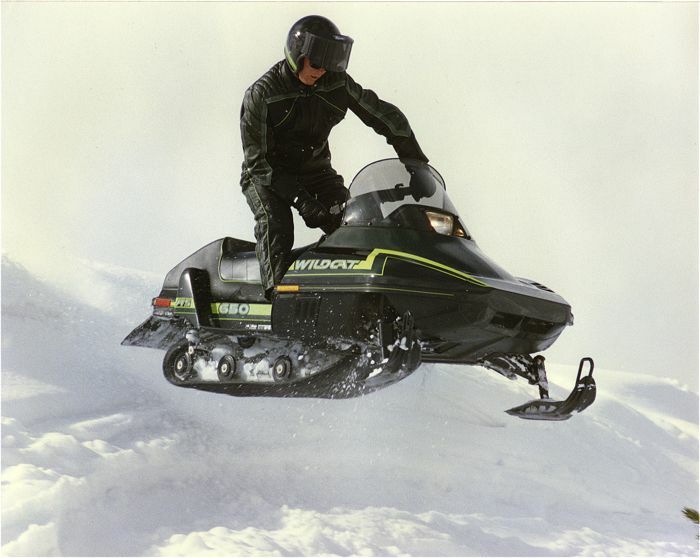 I'm thankful for the evocative Wildcat, a name that entered Arctic Cat lore for the 1988 model year in the form of a twin-cylinder, twin-pipe, 650cc beast that would ably serve as the company's flagship snowmobile until it was supplanted by the 1993 Thundercat. I'm thankful that when the camera came out, an open-face-helmet clad Hollywood Hallstrom hucked this first Wildcat off some badass cornices, a show of force that hinted at its capability as well as the pilot's. I'm thankful for the wild ride that's occurred in the nearly 30 years since. And I'm thankful it's Friday, Oct. 6, 2017. 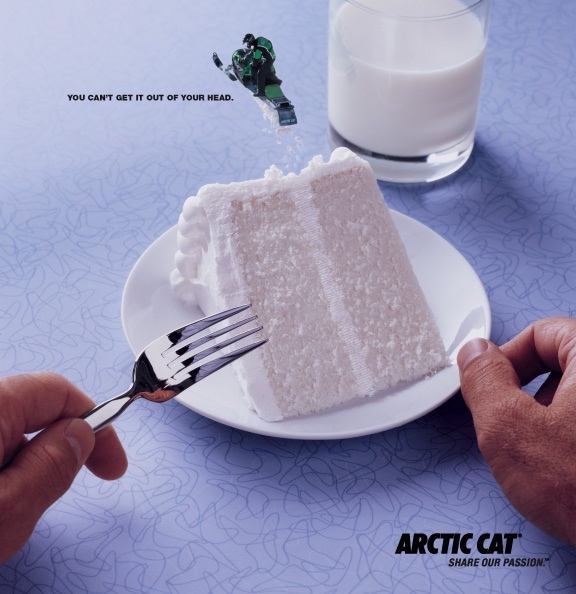 Arctic Cat has a long, wonderful history of producing beautiful beasts that reflect the brand's go-for-it attitude. One such example is this stunning 1970 Panther 793 that's part of the Ische family collection. Packing the sound and fury of a open-piped Hirth 793 triple, this magnificent Panther was one of just 94 produced for the 1970 model year. I can almost feel the thunder, see the tremor and gasp at the bloody ears of those few owners who fired-up these beasts! Click for a few more delicious pix. ZR 200: ArcticInsider's 2018 Snowmobile of the Year! 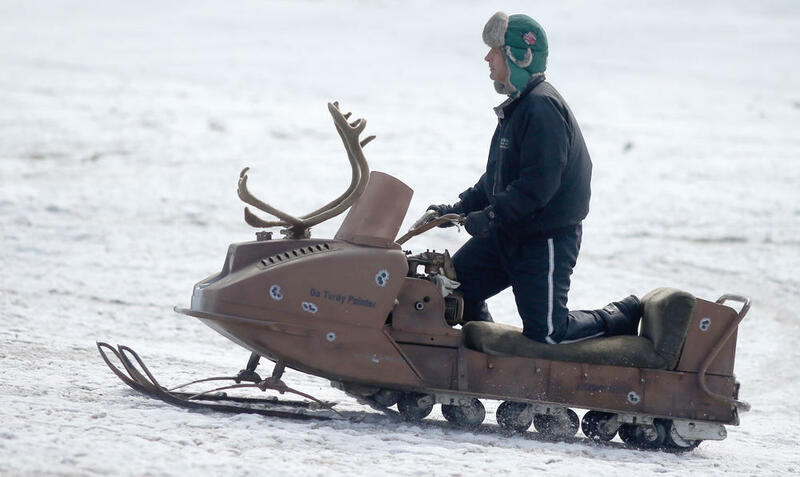 I have seen the future of snowmobiling. 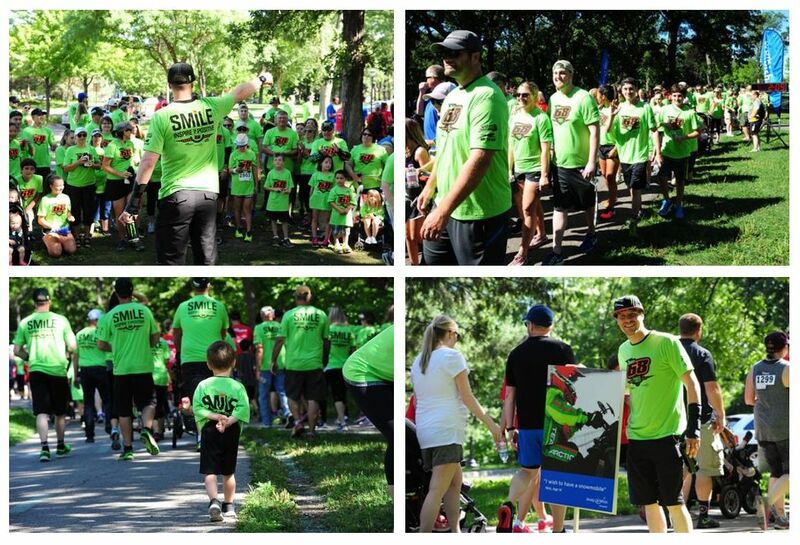 It’s a 7-year-old kid from Toronto, a 10-year-old from Old Forge, and a yet-unborn child from Grand Forks. And it's a 200cc, mid-sized machine that will be ably ridden on trails and every condition that winter offers. 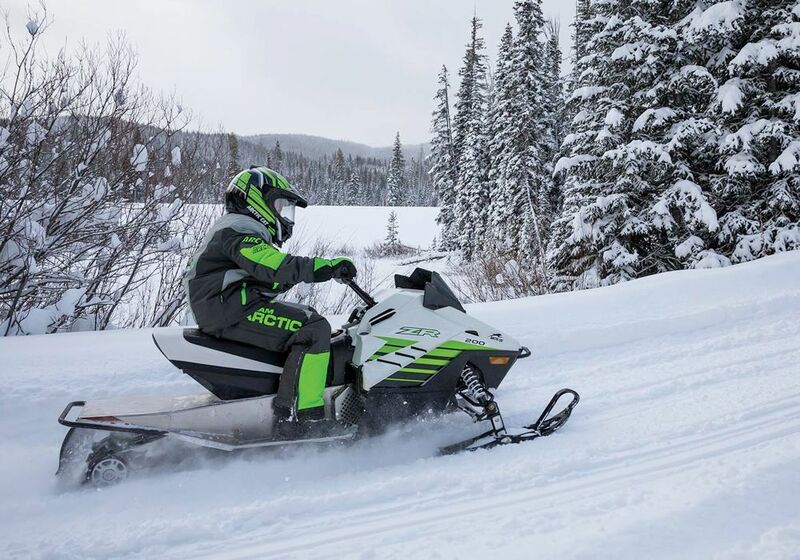 Click to read why the Arctic Cat ZR 200 is the ArcticInsider 2018 Snowmobile of the Year. 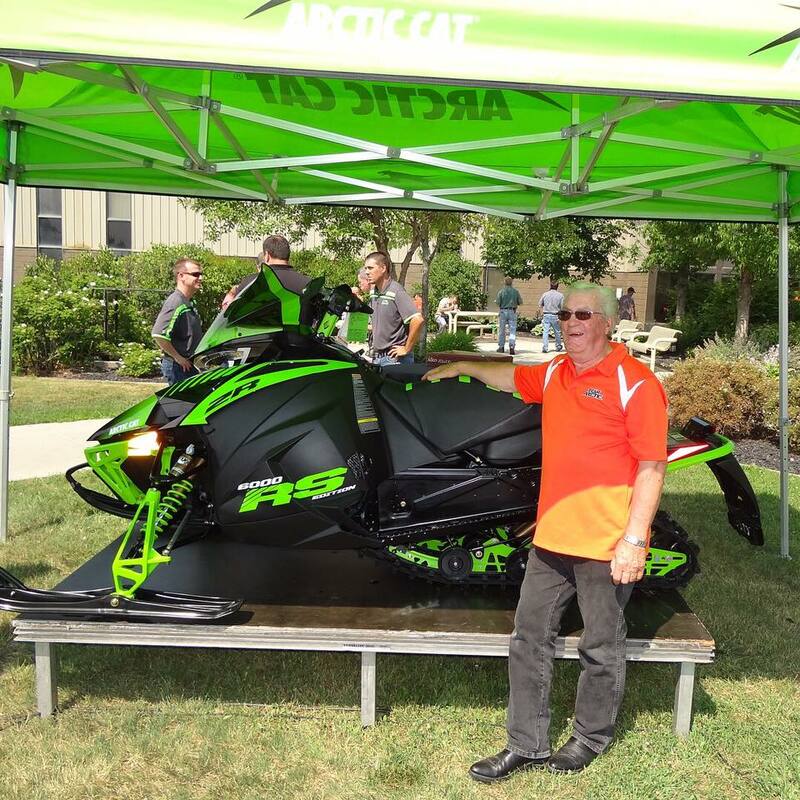 Four months ago, John Collins, vice president of the consumer business for Textron Specialized Vehicles, talked with us here about Textron's purchase of Arctic Cat. 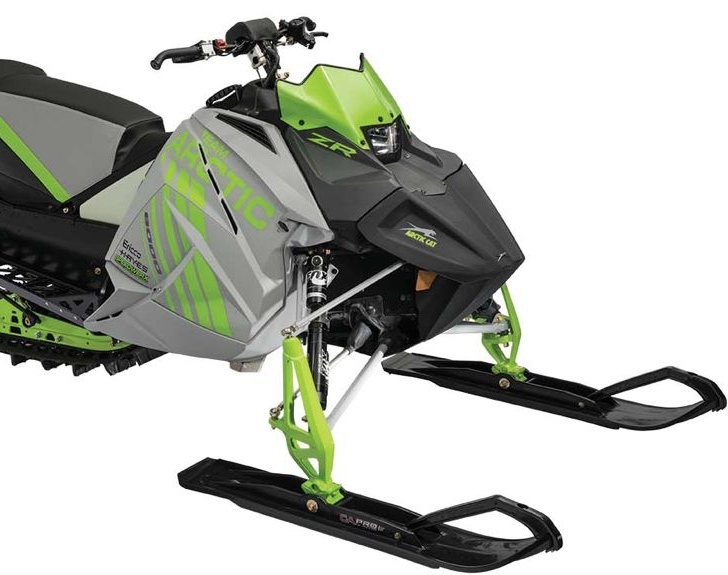 In terms of what Arctic Cat would look like under Textron ownership, that first interview offered only a few broad-brush strokes, and less specific detail. 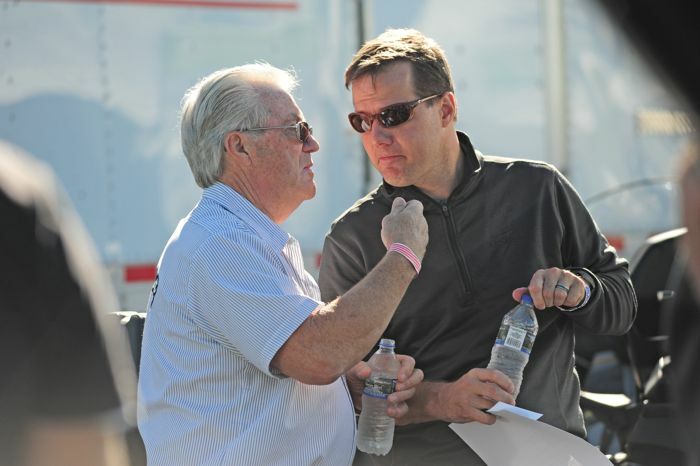 Now that we’re nearly six months into the new Arctic Cat and Textron Off Road, Collins (above right, shown talking with Arctic Cat legend Roger Skime) offers new insight into the integration; what they’ve learned about Arctic Cat and its loyal customers; the just-released model line of ATVs and side-by-sides; and more. 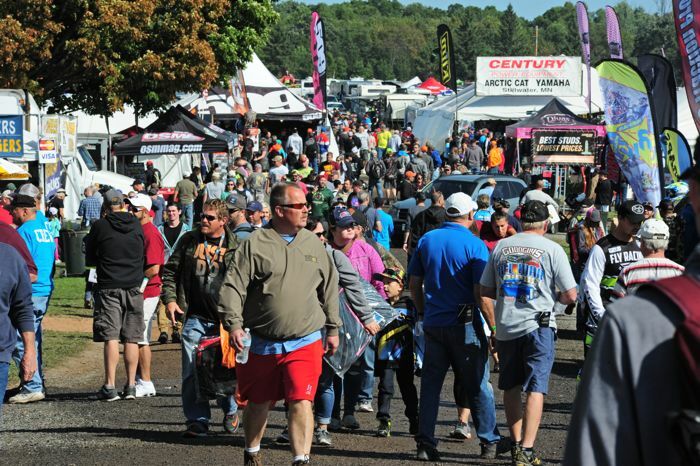 You name it, and it was at Hay Days: snowmobiles, racers, races, ATVs, legends, fans, winter, summer, mud, food, greatness, grossness, old car tires and more. It is an amalgamation of nearly everything that touches any aspect of snowmobiling, with just enough weirdness. Click for a pictorial tribute to a mere slice of what went down at the 2017 edition. Team Arctic's Tucker Hibbert and Logan Christian will head into stock-class snocross battle this season on an all-new 2018 ZR 6000R SX race sled that they spent considerable time and testing this past spring. Here's a snipit of Tucker and Logan doing a lap on prototypes of the machine. Click to read MORE of what they say about the big changes to the track, front suspension and rider ergo's. Despite winning the 2017 I-500 cross-country, Iron Dog and USXC championship, the ZR 6000R XC getting more than just bold new graphics for 2018. There's a new seat, new TEAM driven clutch with tubular driven shaft, FOX QS3R shock, new TEAM Rapid Response II drive clutch, new Ripsaw track and more. Click for some cross-country deliciousness (and all the details). * And a WHOLE bunch more. Double-jump over to the main story to learn all the details. 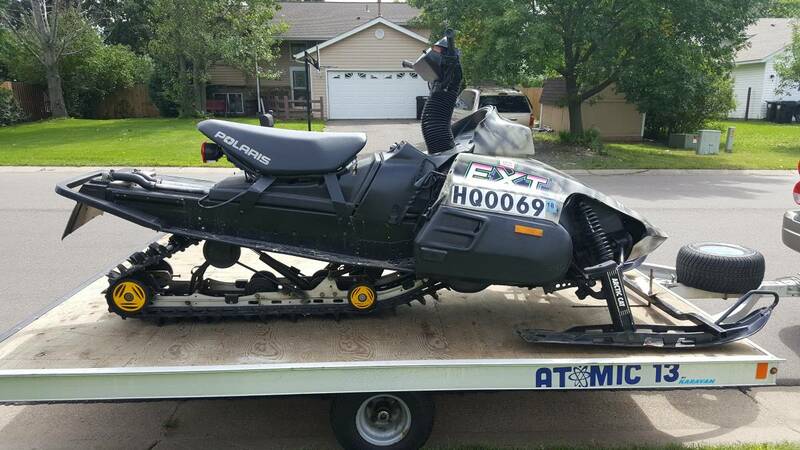 For a measly $600, why WOULDN'T you buy this custom Arctic Cat Prowler?!? The handlebar and 10-plus-10-in. riser combo alone is easily worth $300. And the True Timber camo paint job would fetch $100 at any art fair. True, the seat does scrub some off the overall value. But on sled like this, there ain't no sittin'. Click here to see the original craigslist ad. Seller would probably deliver to Haydizzle this weekend. I'm thankful for when the three-martini lunch fueled the creative fire of advertising agencys' copywriters. 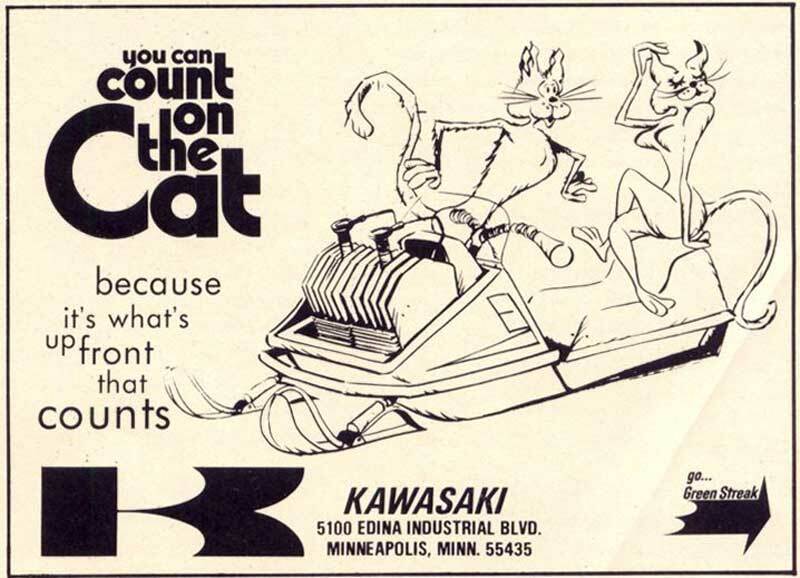 I'm thankful I wasn't the only young kid who, in the early 1970s, just barely detected the subtle sexual innuendo of Kawasaki's advertisement touting the big jugs on the Arctic Cat EXT. And I'm thankful it's Friday, Sept. 1, 2017. There's camo, and then there's CAMO! The new Arcticwear Sno Camo is an example of the latter...a jacket that can and will be seen. Click to learn a little more about the latest threads from Arcticwear. It's the 1970s. Your a kid...part of the baby-boomer generation. 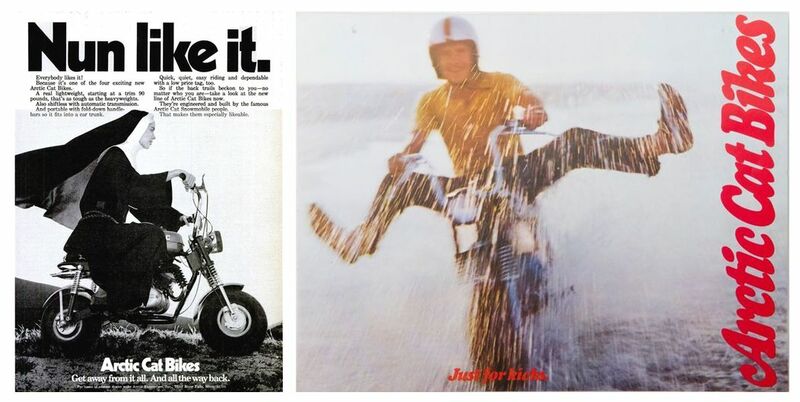 Chances are, the prospect of riding a minibike was as powerful as any desire you'd yet experienced, although puberty might soon deliver some next-level desires. The only desire that matched that of minibikes/dirt bikes, was the desire for snowmobiles. Today marks the first of what will be a semi-regular feature here that I'm calling "My Favorite Sled." To make it work, I'll need your help and submissions (click on the Contact Us link at the bottom of this page). 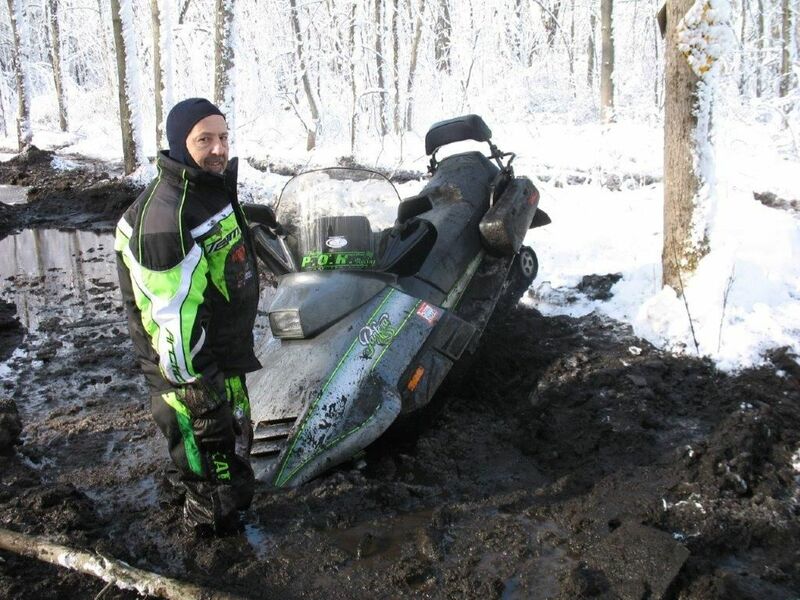 Today's story is from Wisconsin's favorite son, Rodney Dragan, and his 100-105 MPH 1991 Arctic Cat Pantera. It's a great story of machine that's been ridden hard and put away wet. 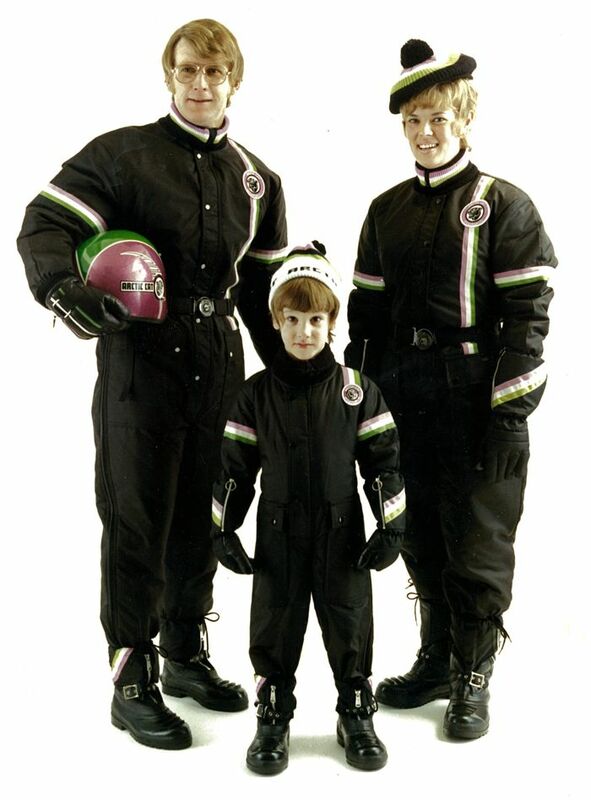 I'm thankful that the family that plays together dresses in matching Arcticwear together, stays together. I'm thankful for that form-fit style that can only be achieved by tucking my snow pants into my boots. I'm thankful that one-piece snowmobile suits never go out of style. And I'm thankful it's Friday, Aug. 11, 2017. 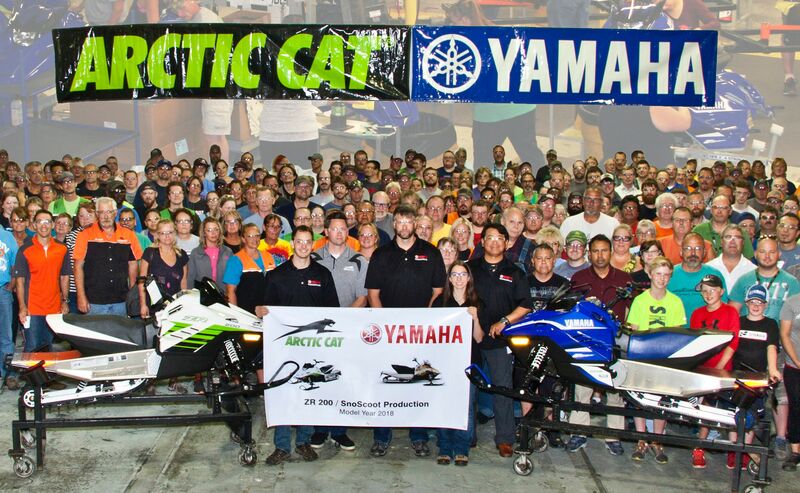 This week, Arctic Cat began building 2018 model year Arctic Cat ZR 200 and Yamaha Sno-Scoot 200 snowmobiles. The milestone was reason for celebration, with a ribbon-cutting ceremony and group photo to mark the historic occasion. 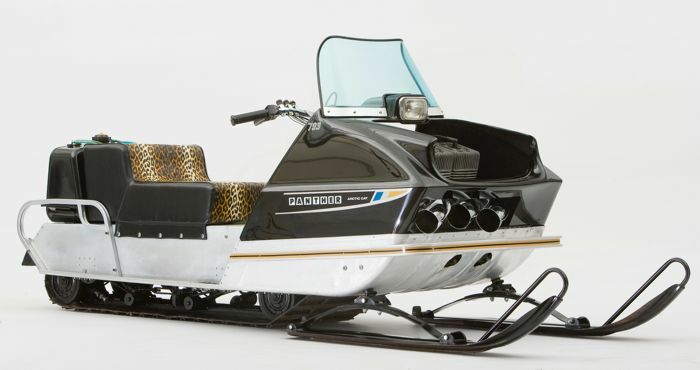 I'm not being hyperbolic when I say that these Cat-designed sleds are the most important snowmobiles of the year, and perhaps the most important snowmobiles of the decade. Click to read a bit more and to see some more pix. I'm thankful for Steve Houle, one of the most badass racers/tuners/engineers and personalities I've ever met. I'm thankful his H82LUZ mindset made him a nationally ranked racer on 3-wheels long before he became a snowmobile racing hall-of-famer. I'm thankful Steve's company, Speedwerx, might in some small, tiny way, be influenced by the outstanding holeshots he usually got on three wheels. I'm thankful for the next few days of relative tranquility (because once he catches wind that I posted this video, the payback could be hell). And I'm thankful it's Friday, Aug. 4, 2017 (aka: #44 on a 3-Wheeler Day)!